Cutting-edge style and fit. 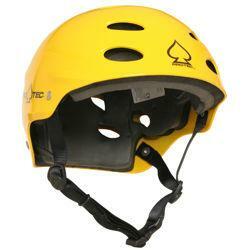 This design features dual density EVA foam lining to create a top-notch whitewater helmet. Cut over the ear for unrestricted hearing and comfort. Plenty of EVA hard-shell to protect your head. Your confidence will soar in an Ace.